Close to the many attractions in Hong Kong’s Eastern District and Causeway Bay, City Garden Hotel is located within a richly diverse precinct, yet accessible to Hong Kong's ever-efficient transport network. We are close to the Fortress Hill MTR Station (exit B, around 5 minutes' walk) while access from Taikoo Place, Hong Kong’s premium commercial complex, City Plaza, a popular commercial, retail and dining hub and the Hong Kong International Airport is also easy and fast. 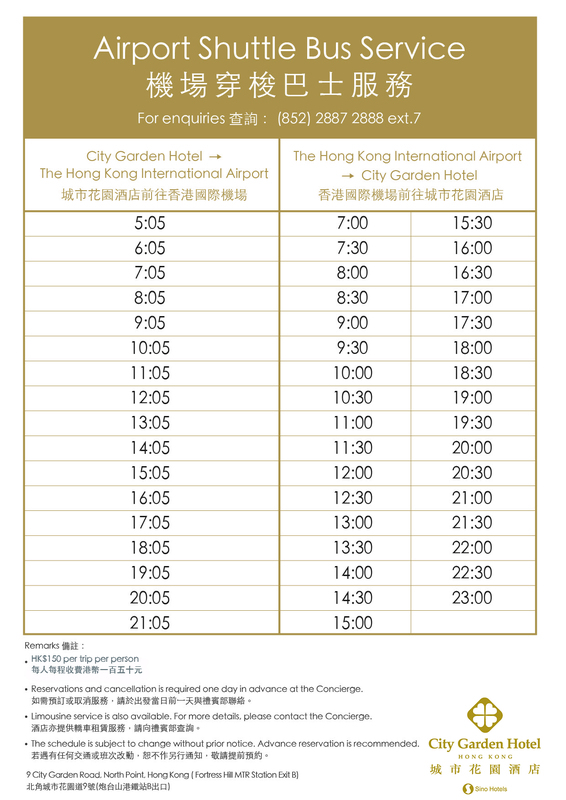 Please contact our Concierge via email concierge@citygarden.com.hk for latest update.